Bill Simmons headed back to Boston for the 2012 MIT Sloan Sports Analytics Conference. At Sloan, he was joined Eric Mangini, who just finished his first season as an ESPN NFL analyst. You can find the B.S. 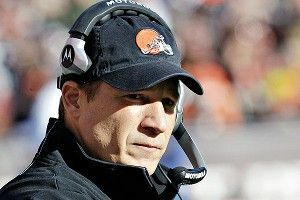 Report podcast with Eric Mangini on the ESPN.com Podcenter or on iTunes. On Saturday, the second day of the conference, Simmons talked with Dallas Mavericks owner Mark Cuban in front of a live audience. You can find Saturday’s podcast with Mark Cuban on the ESPN.com Podcenter or on iTunes. On Friday, Simmons had a chance to talk to stats guru and Historical Baseball Abstract author Bill James in front of conference attendees. You can find Friday: Part 1 on the ESPN.com Podcenter or on iTunes. In Part 2 of Friday’s podcasts, Simmons talks to ESPN NBA analyst Jeff Van Gundy about the event and what it was like to be fired by Rockets GM (and Sloan cofounder) Daryl Morey. You can find Friday: Part 2 on the ESPN.com Podcenter or on iTunes. In Part 3 of Friday’s sessions, Bill talks with Rockets GM Daryl Morey about the conference, waiving Knicks phenom Jeremy Lin before the season, how to build an NBA team, and working with head coach Kevin McHale. You can find Friday: Part 3 on the ESPN.com Podcenter or on iTunes. Earlier last week, Simmons traveled to the White House to talk with the First Fan, President Barack Obama, about Chicago sports, college football playoffs and his favorite character on The Wire.